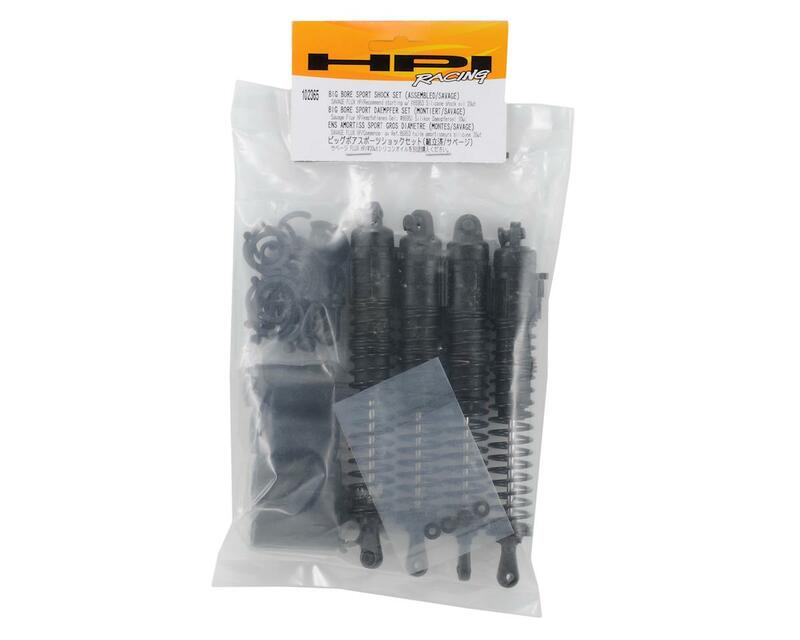 This is a set of HPI Big Bore Sport Shocks and are intended for use with the all HPI Savage monster trucks. The HPI Big Bore Sport Shock Set is a four shock conversion set that makes Savage trucks handle better, reduces maintenance time, and looks great too! The set is lighter, stronger, and smoother than the stock Savage shocks. Oversized shock shafts deliver extra strength, while silicone bladders give smoother suspension movement and extra traction on bumpy surfaces. 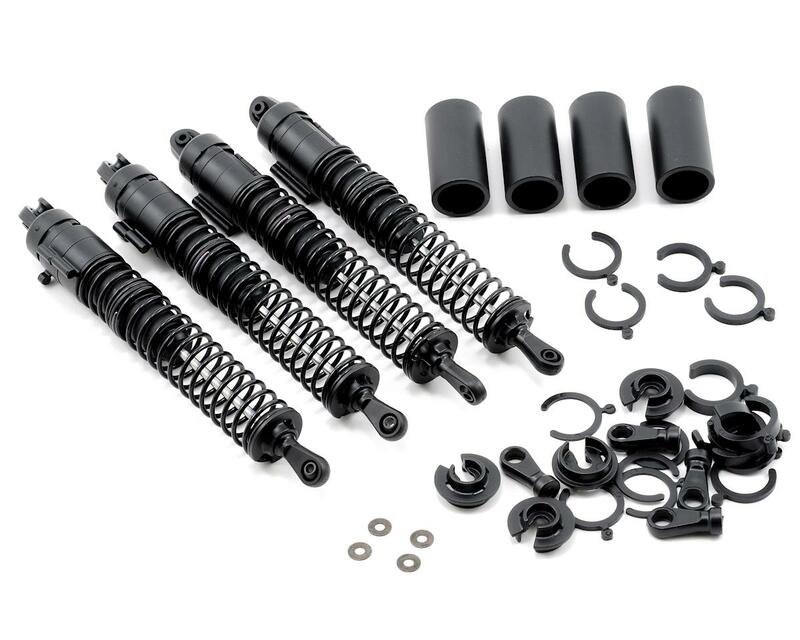 The Big Bore Sport Shock Set includes 4 coilover shocks with springs. It comes pre-assembled and includes a variety of preload spacers, complete instructions and all of the hardware needed for installation. NOTE: These shocks are pre-assembled but do not include oil. Very good shocks. My Savage handles way better and can still take jumps. They look pretty cool too.